It is a burger with melted cheese core inside the grilled beef and pork pattie, lettuce, tomato and onion relish served on a basket of fries. It might look kinda small from the photo, but the pattie was really quite thick. I never fancy the patties from the local fast-food chain - they are all dry and some are just simply tasteless. 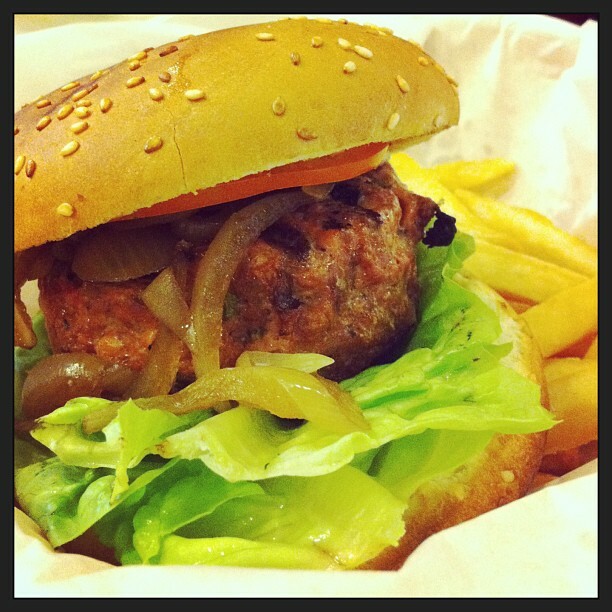 The patties in Betty's are juicy, especially their Juicy Lucy! One bite on the pattie and I could see the cheese oozing out *sinful*! You can totally see the thickness of the pattie...and........CHEESE!!!!! I know it is so sinful, but....I just can't resist cheese. I'm seriously thinking, whoever invented cheese - he/she must be a genius! HAHHHAHAHAHA! 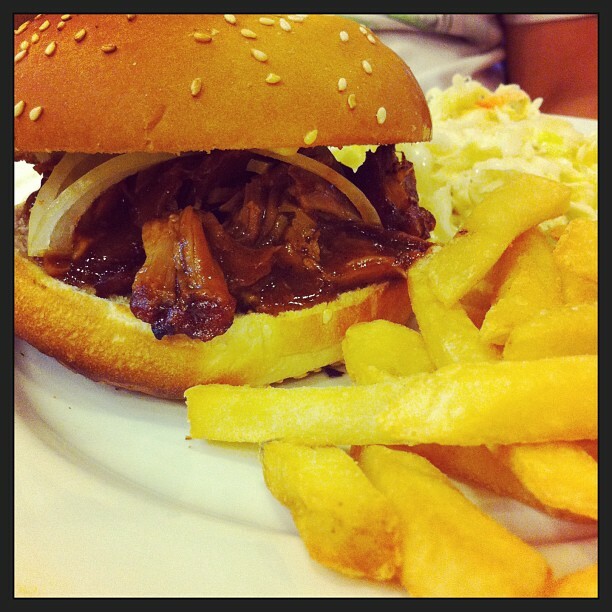 Shredded or 'pulled' pork which has been slow-roasted and braised in their special sauce in-between a burger bun, served with their house coleslaw and fries. Another favourite of mine! The meat was tender and once again...juicy, and the glaze on the meat was flavourful without any add-ons ketchup! 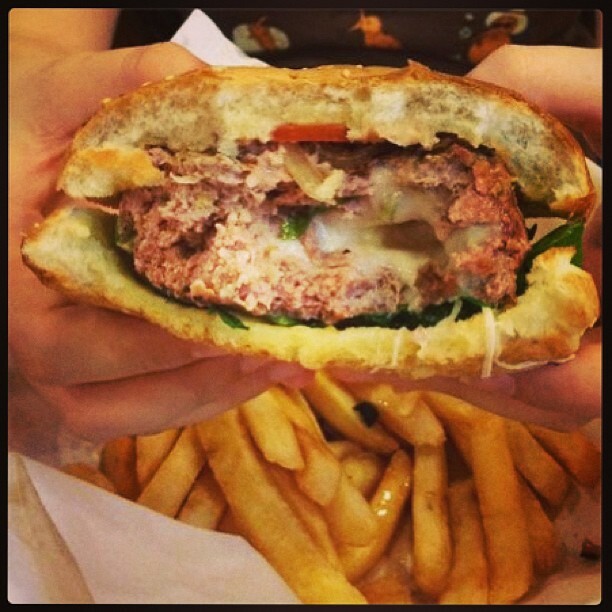 You know that you have an excellent yummy-licious burger when you don't need to add in extra ketchup into it! Tadahhh!!!!!! 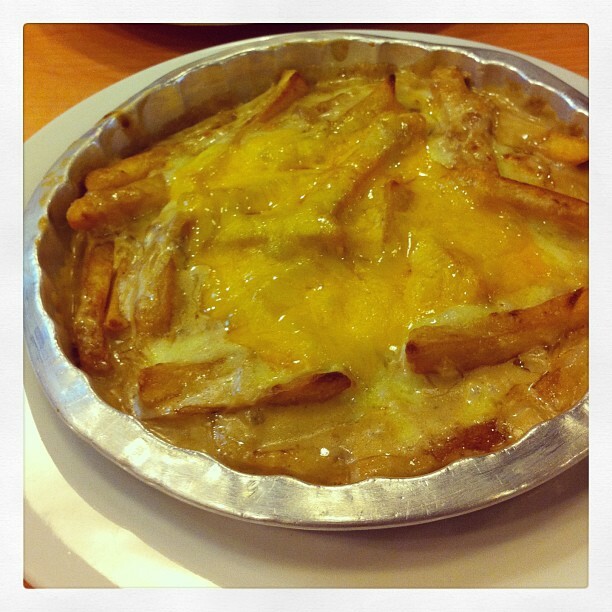 Fries drenched in gravy, topped with cheese and oven cooked. This is heavenly-taste!!! Most probably, because I'm a cheese-freak and a potatoes-freak!!!!! This is a must order whenver I'm there, and I seriously think I can just finish the whole plate or maybe 2 plates....all by myself! LOL!! It was cheesy and best consume when it's hot!! OMG....I'm getting hungry just by looking at this photo! LOL!! They do not have much seats in the restaurant, hence, it would be best to make reservation if you are going in a big group. Please bear in mind, if you have made reservation, please make sure everyone of you come on time - they would not sit you down, if most of the people in the group are not there yet (that's what my brother told me....).